Winter is almost coming to an end, and the new season is starting to approach us. 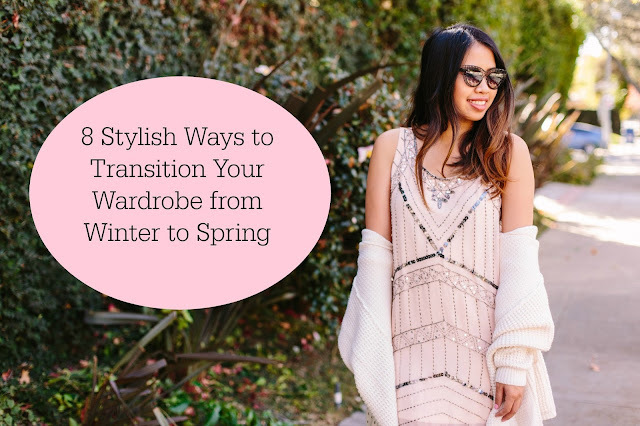 Before you start transforming your entire closet into florals and pastels, there's many ways you can incorporate dashes of Spring into your wardrobe. I rounded up a list of quintessential pieces you can start shopping now, and easily mix in with your current items! There's nothing I love more than a bejeweled necklace to give a nice pop of bling to your look. This chunky amethyst necklace, iridescent drusy collar necklace, and the sugarplum collar will look great with any outfit and surely put anyone in the mood for spring. A pastel or neutral toned handbag is the perfect accessory to ease yourself into the new season and is the perfect arm candy to store all your must-haves. Step out of the darkness and into these lighter color palettes with this taupe tote, dome snake satchel, and this baby pink crossbody for a sleek, bright look. Outerwear can immensely transform an outfit and pull together a look so effortlessly. Whatever your preference may be - leather jackets, cape blazers, and denim jackets - these three options provide a great layer for those breezy spring days ahead. With warmer days approaching, chambray tops meet perfectly in the middle with the lightweight style and their baby blue hue. This casual chambray from J.Crew offers a more tousled look while this Nordstrom top and dark wash from Vintage 55 gives a more polished and structured vibe. You'll be craving to trade in your winter wear for these denim gems in no time. Whether you like to tie it to the side, wrap it around, or use it as a purse accessory, spring scarves can offer an instant pop of color while keeping you warm from the windy days ahead. The super soft periwinkle, floral, and striped scarf are versatile and are a very easy way to shift your look into spring. Rarely is there a color that works for every season, but camel has defied that rule, which is why it's a such a great transition color. As a stunning neutral, camel is the perfect balance between casual and sophistication. Accessories like this wooden sunglasses, a thin belt, and this floppy wool hat are easy options to embrace spring especially if color isn't your style. Get ready to put away those snow boots, because your feet is about to experience some major sunshine. These lace-up peep toe heels and cutout booties offer a playful and feminine look. And if it's hard to let go and steer away from boot season, then rock these suede booties in the meantime as they have elements of both winter and spring. White jeans are another closet staple for spring and provides a crisp and fresh pairing with any top. While they go hand in hand perfectly with softer colors, these pants also look great with darker hues that you can pull from your winter wardrobe. 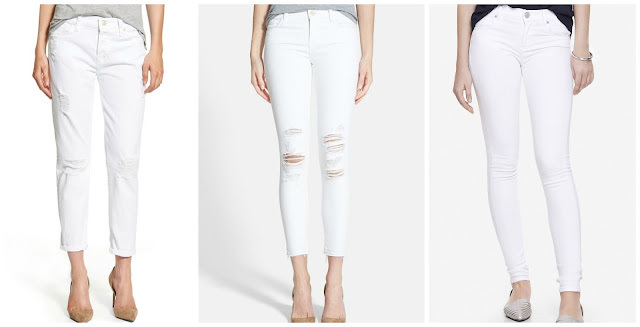 Whatever your style preference may be - boyfriend, distressed, or high-waisted skinny jeans - these choices are extremely versatile and are key in lightening up your look. Are you getting excited for Spring, and are starting to mix in elements of the new season? White jeans! Yes, that is one staple that I haven't added to my wardrobe (can't help but spill on it). Great roundup of spring must-haves too! Camel is my go-to neutral in spring! It's the easiest way to lighten up any look -- that and a good dose of pastel hues! Beautiful selection! I really like the statement necklaces, they can really elevate a look. You can not go wrong with white jeans and a statement necklace! Love this!! White jeans are a perfect transition piece! Some great picks here! Always love a chambray shirt and white jeans!! Great post! I seriously cannot wait for spring! I am so over this snow!! 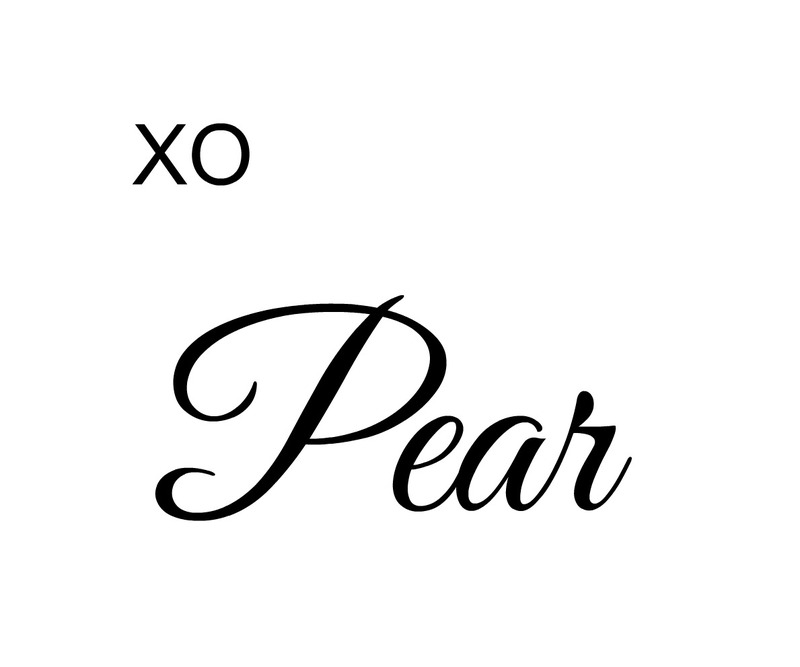 Such great tips, Pear! I just love the versatility of chambray and it looks great paired with white denim, too! 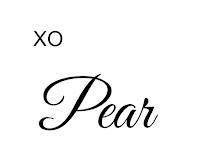 Thanks so much for sharing, beauty, and I hope you're having a great day so far! Love all of your picks!! Such good tips! I really need to get myself a good pair of white jeans! And I'm all about cute open toed ankle boots!